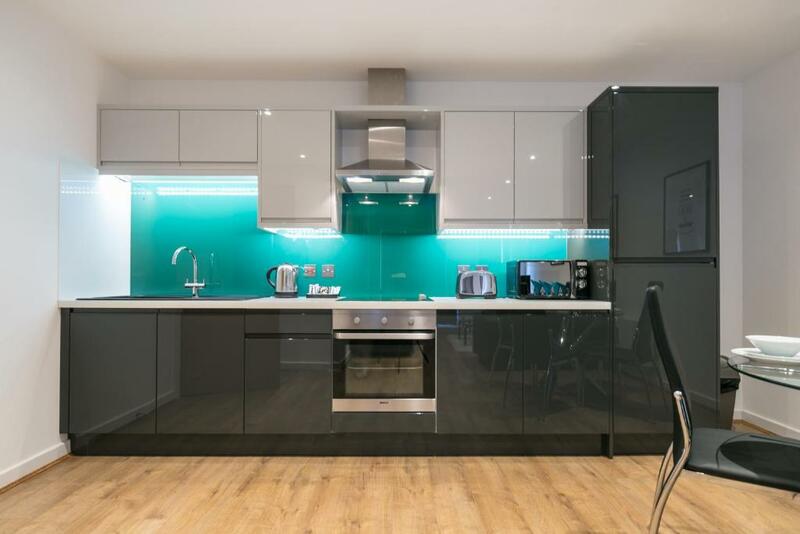 Located 0.8 miles from The Opera House in Manchester, Bluestone Apartments - Trinity offers accommodations with a kitchen. 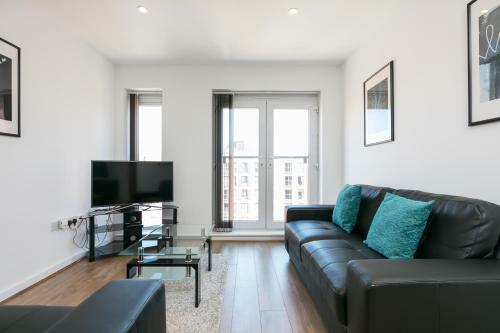 The property, housed in a building dating from 2014, is 1.1 miles from Deansgate. 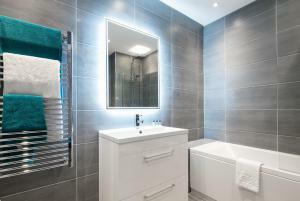 The apartment consists of 2 separate bedrooms, 1 bathroom with free toiletries and a hair dryer, and a seating area. A TV is offered. Manchester Central Library is 1.1 miles from the apartment. Manchester Airport is 9 miles away. When would you like to stay at Bluestone Apartments - Trinity? 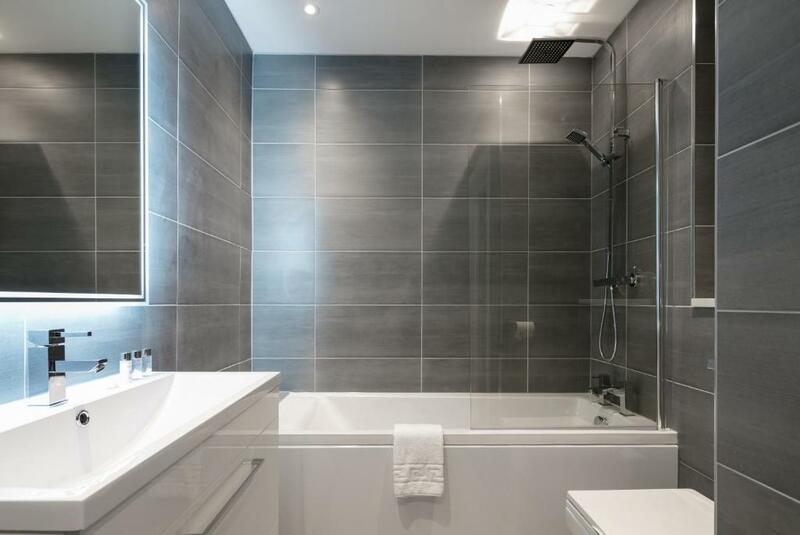 Welcome to our newly launched premier serviced apartment in this tranquil spot close to the heart of both Manchester City Centre and Media City. 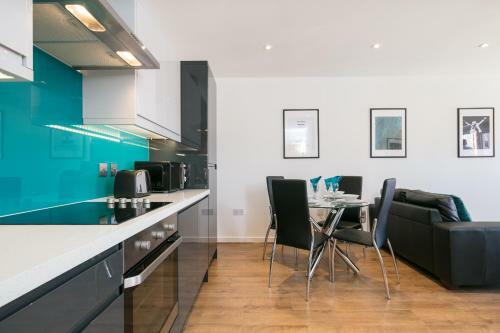 Suitable for both business and leisure travellers, this high spec apartment has been fully equipped with today's discerning guests in mind. 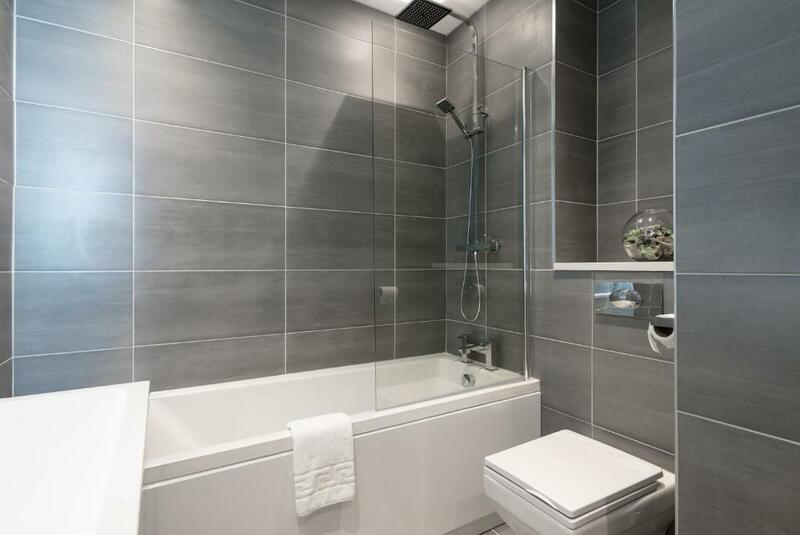 It boasts high speed wireless internet, secure gated parking and is on the top floor of this stunning apartment building. Welcome to Bluestone Apartments, the smart choice for luxury city stays in the city of Manchester. We provide all the comforts of home, with the refinements of a premium hotel, for one surprisingly low price. 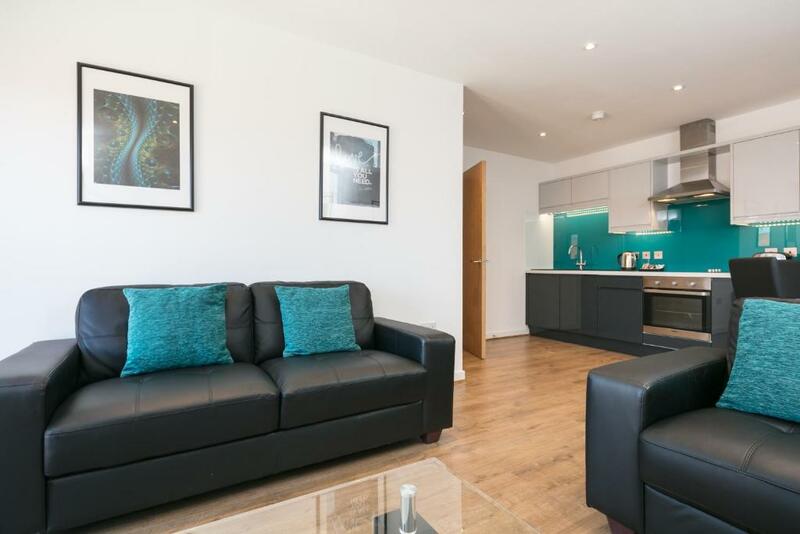 Whether your needs are for corporate relocation, business travel or just holiday accommodation, Bluestone Apartments provide an all-inclusive city living experience perfect for you. House Rules Bluestone Apartments - Trinity takes special requests – add in the next step! A GBP250 damage deposit is required 0 days before arrival (about USD325.24). This deposit will be fully refunded 0 days after check-out, as long as there isn't any damage to the property. A damage deposit of GBP 250 is required. That's about 325.24USD. You should be reimbursed on check-out. Please inform Bluestone Apartments - Trinity of your expected arrival time in advance. You can use the Special Requests box when booking, or contact the property directly using the contact details in your confirmation. We need at least 5 reviews before we can calculate a review score. If you book and review your stay, you can help Bluestone Apartments - Trinity meet this goal. I was contacted in advance to welcome me to my stay and that to call 30 minutes before my arrival to meet and collect the keys and for the apartment facilities to be explained. The apartment was very clean and quite so an excellent few nights sleep. Secure free parking and only 10 minutes to the city centre. A large Sainsbury’s across the road as well as McDonalds and KFC. Spotlessly clean modern luxury apartment with everything you could possibly want. 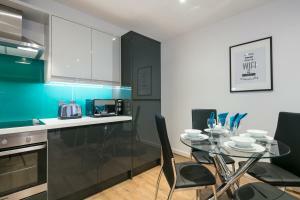 Extremely comfortable space, great location for the city centre and with free secure parking. Very helpful and accommodating staff. Cannot recommend highly enough. Check in on the day was difficult,time wasting and disappointing.House keeping only got in touch with us by text message ,the night before to ask what time we would be checking in , we confirmed a specific time. On the day and time of check in , we called house keeping at the expected check in time and got told it will be another 20 mins when we agreed for a particular time! It doesn't seem like a long time , however when you're stuck in an area where there's nothing to do , no reception to wait in and it's raining outside it was a long wait ! While on the phone we rudely got told we were meant to let them know we're at the property half an prior to check in and that we never confirmed what time we would be checking in, which was a complete lie as no where did it say warn 30 mins prior and we had a message on my phone confirming check in time. Check in process was a night mare , house keeping were rude on the phone , when they were wasting our time and blaming us.It was just a joke and ruined our plans for the afternoon. The card machine didn't work so deposit couldn't be taken , so house keeping had to come back again to the apartment later on which meant we had to be back at the apartment and revolve around them. Very dissappointed ,pretty much ruined the whole experience with Blue Stone Appartments.